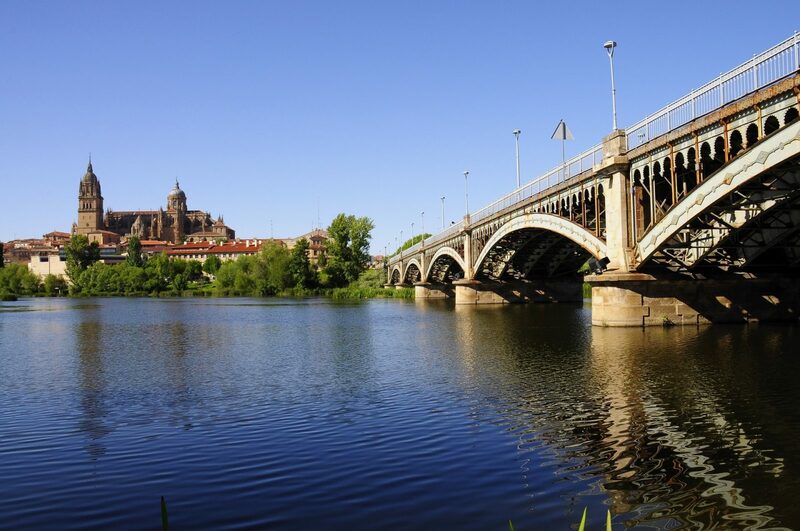 The beautiful city Salamanca is located in the community of Castille and León. A city with a lot of history and gorgeous historical buildings. There is so much to tell about this city and her buildings, that we’ve written a blog about the history of Salamanca. Hopefully you’re convinced to plan a trip to Salamanca after reading this! It is important to have some background information, before you start reading the story about the history of Salamanca. Because it can be a difficult story if you don’t know some of the names of the first inhabitants of the city and all the empires that existed at that time. That is why there is some information about the different empires and its inhabitants of that time. ‘The Celts’ were a collection of peoples who inhabited large parts of Europe in prehistoric times and in ancient times. The languages spoken within the Celtic populations sometimes differed greatly from each other. Despite the differences in language, the speakers of a Celtic language were still referred to as Celt. The culmination of the Celtic population was in the 4th century BC. The British Isles, the Iberian Peninsula (Andorra, France, Spain, Gibraltar and Portugal), parts of Central Europe, the Balkans and Gaul were all populated by Celtic tribes. Carthaginians were the inhabitants of Carthage, the capital of the Carthaginian Empire. The inhabitants of Carthage and the western shores of the Mediterranean Sea were also called Puniers by the Romans. The Romans also distinguished between inhabitants of the Carthaginian Empire, you had the Punic, the Phoenicians (the inhabitants of Phenicia / Phenicia, the area that is now called Lebanon) and the Afer. Of course we all heard of the Romans, the inhabitants of the Roman Empire. In the third century BC, the republic conducted various wars with its enemy Carthago. An important aspect in the history of Salamanca. The area, which later received the name Salamanca, was inhabited in the sixth century BC by the Celtic tribes called the Vacceos and the Vettones. The Vacceos built two fortifications around 400 BC on the river Tormes to protect it, the Ocela Durii and the Salmantica (Salamanca). Around 200 BC. Hannibal besieged Salamanca. Hannibal was a Carthaginian general and the great opponent of the Romans in the second Punic war. Not to be confused with Hannibal Lecter;). But in 146 BC Carthago fell and the Romans took over. They spread throughout Spain, including Salamanca. The city became one of the most important stops on the ‘Ruta de Plata’, better known as the Silver Route. The reason why Salamanca was so important? The city served as a crossing for the river Tormes. A Roman bridge that dates from the first century, was located here. Half of this bridge even has been preserved! The Silver Route ran from the mines in Asturias to the south of Spain. Salamanca has had many different residents, as you have read. With the fall of the Western Roman Empire, the story for the Romans, in the history of Salamanca, stops. You guessed it; new residents arrived in Salamanca. Right after the fall, the area was conquered by the Alans, an Iranian nomadic tribe, followed by the Visigoths. The Visigoths were an important (East) Germanic nation, during and after the fall of the Roman Empire. Salamanca’s city wall was expanded by the Visigoths with two towers. But it also did not work out for the Visigoths. In 712 the city was conquered by the Moors. This area, between the south of the Duero river and the north of the Tormes river, has been the battlefield of the Christian kingdoms and the Al-Andalus (the conquered territory of the Moors) for years. It was only after the battle of Simancas that the Christians conquered this area again, after which Salamanca could slowly start rebuilding the city. There have been some big fights in the history of Salamanca and the fights we’ve told you about weren’t even all of them. We will tell you more about how Salamanca developed herself after the wars in our next blog.